English Women’s USA Squad 2018/19. English Girls’ Squad 2016-18. England Golf regional coaching 2014-15. 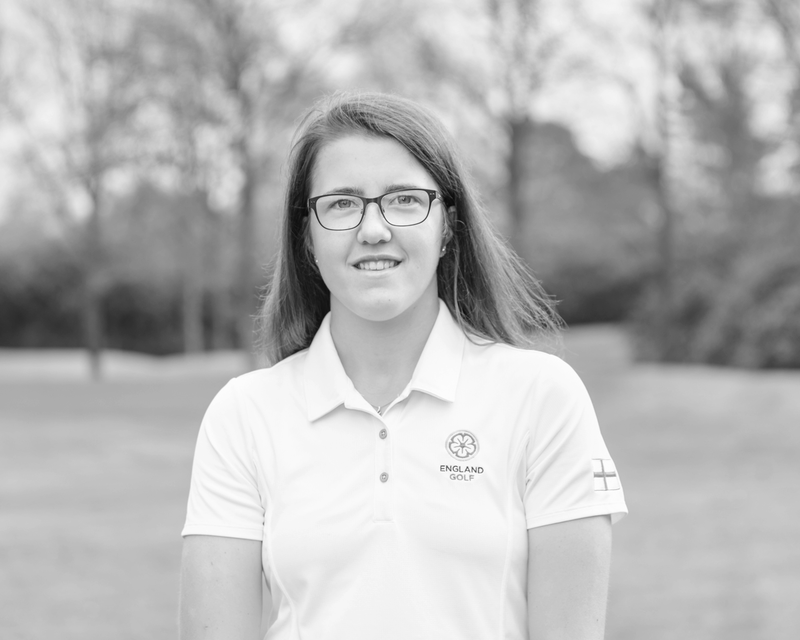 2018 – Individual: Gold Rose, winner; English Girls Open, 6th; English Women’s Amateur, T9; Fairhaven Trophies 2nd. Teams: Represented England in Girls’ Home Internationals, winners. 2017 – Individual: Gold Rose, winner; British Girls’ Amateur, L64; European Girls’ Team Championship qualifying, 3rd; Scottish Girls’ Open, T8. 2016 – Individual: North of England U16 Girls’ Open, 2nd; English U16 Girls’ Open, 2nd; Fairhaven Trophies, 2nd; Scottish Girls’ Open, T3; English Women’s Amateur, 6th. Teams: England v Switzerland U16 international, winners.